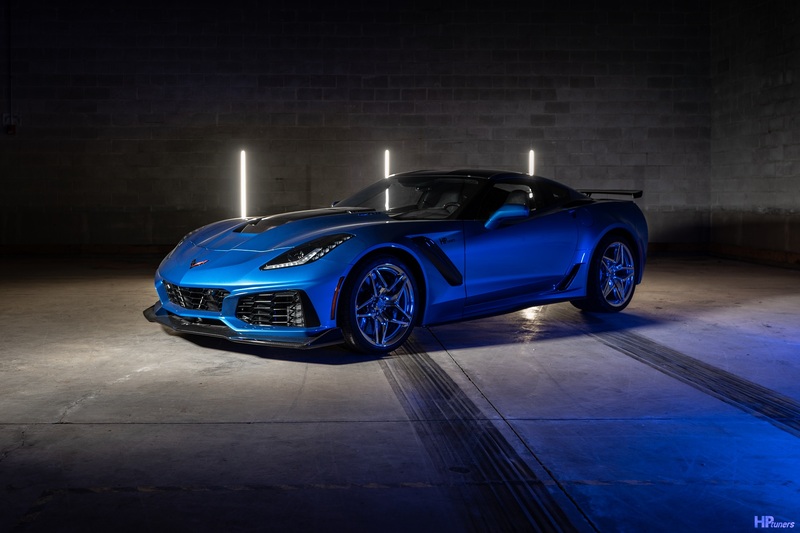 HP Tuners exclusively presents our ZR1 ECM Modification or Exchange Service, giving you the power to tune your 2019+ Chevrolet Corvette ZR1 6.2L V8 LT5. 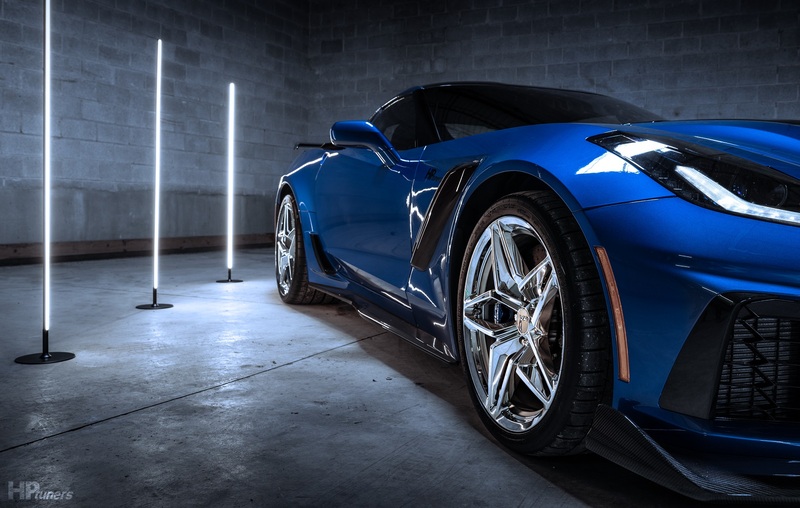 HP Tuners exclusively presents our ZR1 Modified ECM Purchase and ZR1 ECM Exchange Service, giving you the power to tune your 2019+ Chevrolet Corvette ZR1 6.2L V8 LT5 (E99). You have the option to either purchase a new HP Tuners Modified ECM or send us your original ECM and we will exchange it for a HP Tuners modified one. Both options give you full access to calibrate, log and scan via the OBD2 port with your MPVI2 and VCM Suite 4.3+! This option allows you to purchase an already Modified ECM from us, and you keep your original ECM. Remember, do NOT send us your ECM. 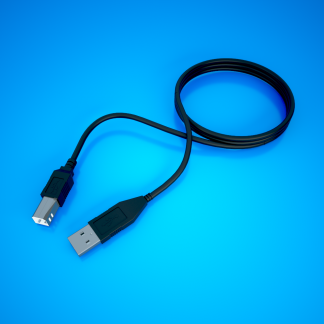 Note: No unlock is required for CCM or FICM controllers. Select this option to send us your original ECM and we will Exchange it for an already modified ECM. Remember, you MUST send us your ECM first! – Once you have placed your order and provided your VIN, you must send us your original ECM first. – Your ECM must be in functional, original, unopened and unmodified condition. – You will not receive this same ECM back as this is an exchange service only. The ECM you receive has been modified to enable tuning. HP Tuners reserves the right to refuse exchange of any ECM sent to us as part of this service. 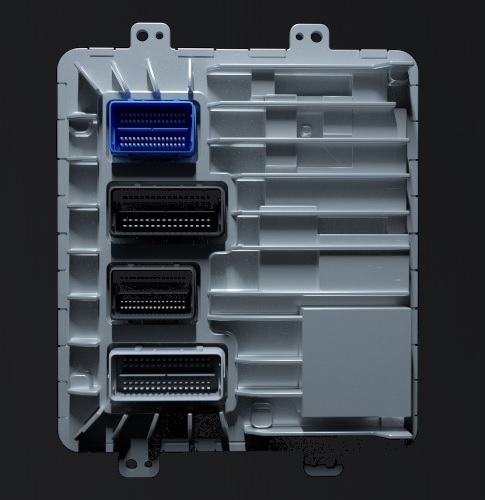 – Your modified or exchanged ZR1 ECM can only be tuned via the OBD2 port with HP Tuners VCM Suite 4.3+ and an MPVI2. 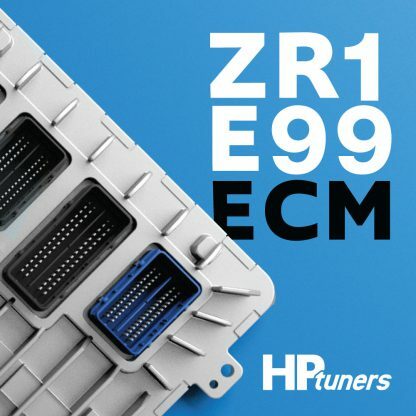 – To tune your ZR1 ECM you require 10 Universal Credits, an MPVI2 with the latest firmware, the latest version of VCM Suite and an internet connection. – No other tuning or calibration tools can be used with the ECM (including dealer reflash tools). – VCM Scanner, dealer diagnostic and other diagnostic tools will continue to function normally. – VCM Suite 4.3+ can be used to return to stock calibration and/or update to the latest stock calibration. 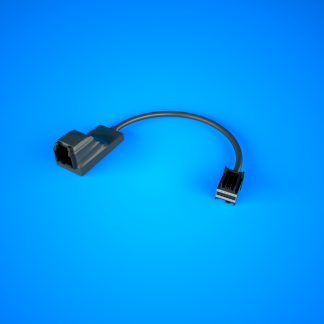 – Vehicle Anti-Theft System relearn by a dealer tool is required once the ECM is returned to the vehicle. – Please also allow at least 3 business days for this exchange service not including shipping times. If the information above is not provided with the ECM, it may delay the ECM exchange process while the missing information is acquired. Please ensure you follow both the above instructions when placing your order and review the installation instructions here. The default shipping added with the exchange service is UPS ground, however expedited shipping is available via the checkout process. NOTE: Note this ECM exchange service is completed at the owners risk, HP Tuners will not be responsible for the vehicle, its power-train or electronics, nor how the ECM is used, calibrated and its functionality. Should you experience any issues with your ECM, please contact support@hptuners.com for assistance and how to proceed. Should you choose to exchange your ECM rather than purchase a new one from us, as a reminder your ECM will not be returned to you, this service is an “exchange” and you will receive another modified ECM in its place. We exchange and modify ECMs as fast as we can, but initially, please allow at least 3 business days (plus the time to ship the ECM) per ECM that you send in for the exchange process to be completed.